Working Parents LLC - is a privately held small publisher of Children's books. Our first book, Patulous, The Different Caterpillar is by A, Volta. 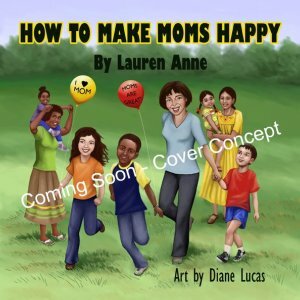 Our next book coming later in 2010 is How To Make Moms Happy, by Lauren Reid. With a degree in business from Santa Clara University, A. Volta is a treasury analyst at Hewlett Packard and an active Toastmasters member. An advocate to empower parents, she is a past field tester for Parent Partners of Great Explorations in Math and Science, Lawrence Hall of Science at University of California, Berkeley. She lives with her two teenage children in the Bay Area where her weekends are filled with her teenagers’ sporting events or children’s events where she reads her book, discusses the power of diversity, and leads fun-filled art projects for children to express their creativity. This is her first children’s book.